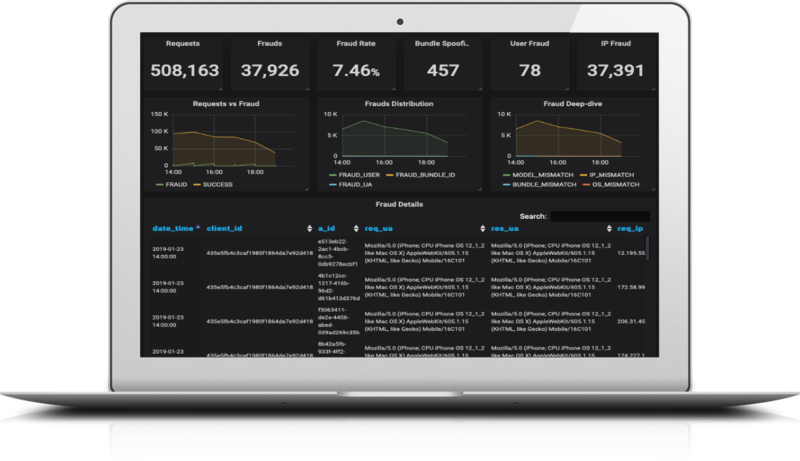 The first transparent ad fraud reporting system available free to brands and marketers as a beta testing program. Originally designed as a proprietary Advangelists platform feature, AdCop™ monitors for programmatic fraud post bid impression. If AdCop™ suspects fraud, the Advangelists platform renders a blank page instead of an advertiser’s advertisement as a brand safety measure. We believe so strongly in our product, that we are offering AdCop™ as a service to the Industry. Advertisers who register do not need to be customers of Advangelists or purchase media through our platform. We provide impression level monitoring and insights up to 1000 QPS. Complete the form below to register for the beta program.